Welcome to the New WrapPRO - We Love Our Members! Good morning and welcome to the new WrapPRO service, including a newly redesigned newsletter! We want to make sure our newsletters are as impressive as the stories they include. After hearing your feedback, we have updated the look of the WrapPRO newsletter to better provide you with the day’s top business stories and unique OTT content. That would be pretty cool on its own, but that’s not all — far from it. 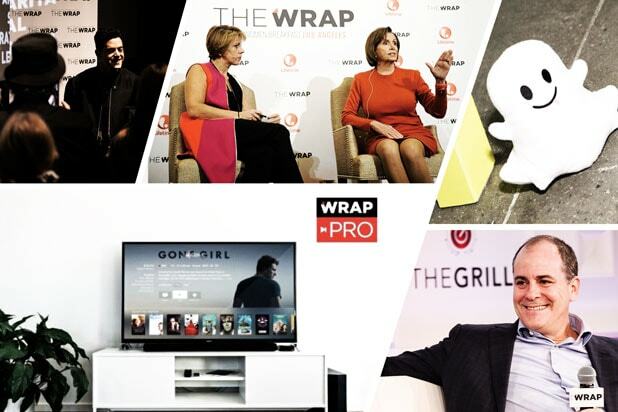 You’ve probably noticed that TheWrap has been building a new members-only PRO offering, focused on serving the professionals in the digital entertainment space. There’s a lot happening, and if you’re in the industry, you most definitely don’t want to miss it. You’ll continue to see site upgrades and new resources added to the service, much of it based on your feedback. You’ll see industry research. You’ll see “Members Only” video from Wrap live events, including our screening series, conferences, festival activations and Wrap Studio interviews. You’ll see unique events being offered on the site, like the VIP seating at our awards season screening series, special access to our revamped Grill conference — coming in June this year. We’re just getting started at making WrapPRO the must-join member community for professionals in entertainment, media and tech. Thank you for being part of our community. Not yet familiar with PRO? Check it out here, and tell us what would make it most valuable to yoU!